• A Dharma inspired, independent Buddhist Hymns and music group established since 1997. • Released 10 CD albums of Buddhist Hymns and Dharma Teaching kit (Let’s Sing Together series)from 2001 to 2012. • Produced Motivation. 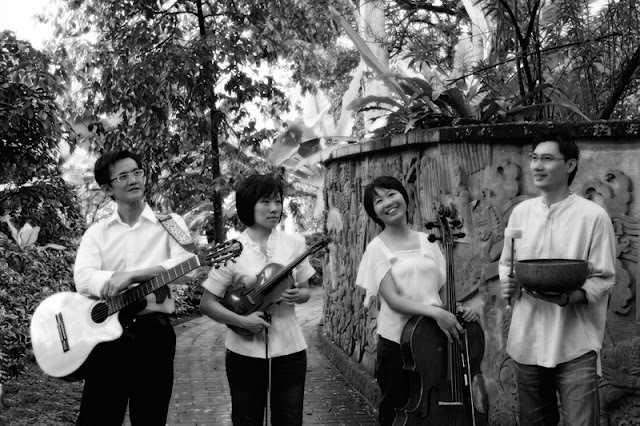 Unplugged, a charity concert fusing music of the East and West with a holistic touch in 2002. • Established Dharma Resonance a Buddhist network, sharing and performance platform from 2004 to 2006. • Interviewed by radio broadcasting stations Passion FM99.5, Hearts Radio FM100.3 and Channel News Asia (CNA). • Invited to Hong Kong to conduct a series of Buddhist Hymns sharing and workshop in various universities ,secondary schools, TLKY monastery and Buddhist Youth Leader course in 2009 and 2010. • More than 100,000 copies of Bodhicitta's CD had been distributed internationally. • Today, the group composes holistic music with various expressional art forms for Mind-Body therapy works.